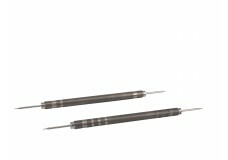 Set of two double-ended gauges. Please contact us to discuss the opportunity to try the item without..
Used to block the lower lacrymal punctum, reducing tear loss from the conjunctival sac. An economica..